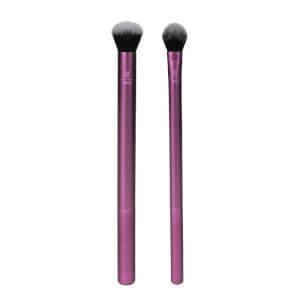 these brushes are awesome, i think this package is a must have. I'm amazed at these tools. It softly blend the powder and eyeshadows for my make up. I love it and I definitely will buy them again! I received the product quickly and in perfect condition, and without paying any shipping. One less present to stress about for Christmas! Fast delivery service. Really pleased with my purchase aswell as the free delivery! What more could i ask for? I will be purchasing more products from you in the future. Brushes are good value for money. 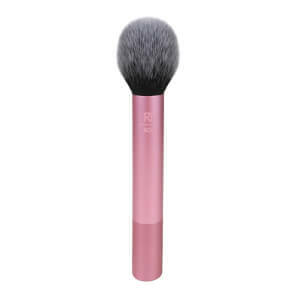 Very soft and apply make up evenly. Just got my new Real Techniques Travel Essentials Kit and really love them, this is just a perfect kit for me to 'discover' all this make-up world. The Real Techniques Travel Essentials Kit is amazing quality with beautiful packaging. I've used so many high end brushes and was never as happy as I am with the Real Teachniques ones. They're super soft and so fluffy - I cant live without them! I love this Real Techniques Travel Essentials Kit. 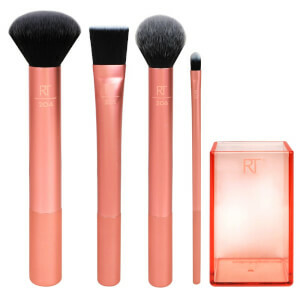 This Real Techniques Travel Essentials Kit contains fantastic brushes, is good quality and excellent value for money! Id heard great things about Real Techniques Travel Essentials Kit so I decided to give them a go! The travel essentials kit has a foundation, powder and shadow brush included. They come in a very handy and stylish case that can change into a stand with the pull of a string. 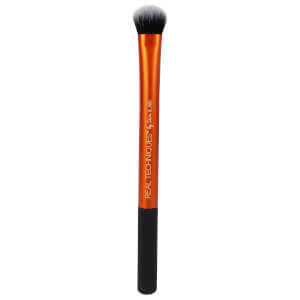 The brushes are soft and lovely to hold, the foundation brush left a flawless finish, the multi-purpose brush is great for face powder and the shadow brush is amazing too. Can't wait to get the whole collection of real techniques brushes. Highly recommend.